Q: What is a common feature of all your collections? Your leitmotif? Your core belief? A: I believe that beauty and elegance do not depend on your body profile. When I create a new style, I think like a painter. Every line and every color combination are meaningful. They need to highlight the natural beauty of human body and downplay its imperfections. - Miko Jacket: long elegant jacket with long sleeves. - Raglan Jacket: short jacket with long raglan sleeves. These wide comfortable pants, styled in the oriental fashion have a most elegant look when worn with a jacket or tunic. They are high cut and elastic. 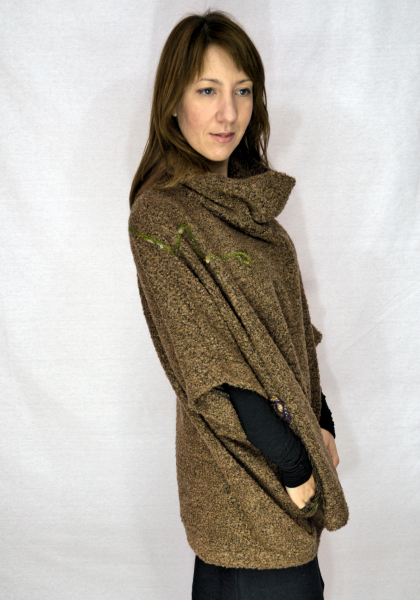 They can be folded at the waist to create a low cut or can be worn on the belly to keep it nice and warm. - One size - women. It is really wearable, both for special occasions or for everyday. In any situation, you won't find anyone more stylish than you. Great wearing with leggings, jeans. 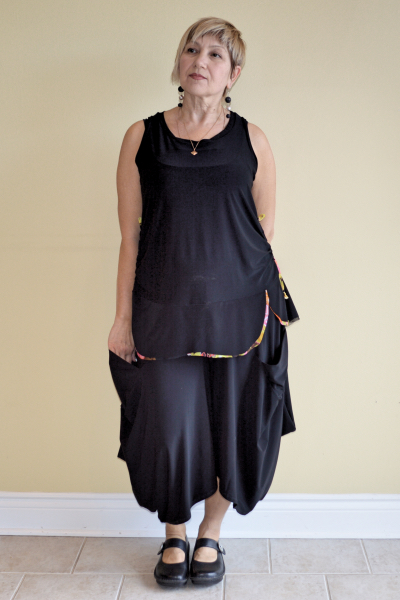 A loose-fitting women's garment that falls to the hip or thigh and is often worn over leggings or pants. 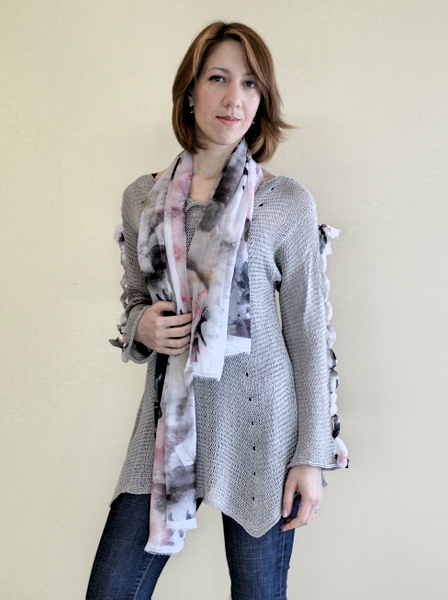 It is a one of-a-kind knit that will transform your silhouette. This multicolored wrap uses a fashionable chess theme. It is light and stylish. It will add a finishing touch to your look. It’s a great item for everyday wear! - Color: gray, green, purple.